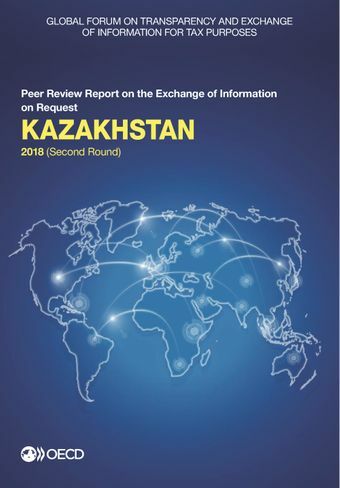 This report contains the 2018 Peer Review Report on the Exchange of Information on Request of Kazakhstan. The Global Forum rated Kazakhstan’s implementation of the EOIR standard in practice for the first time and found it to be overall Partially Compliant. Kazakhstan is involved in a relatively robust exchange of information mainly with its neighbouring countries and it was able to provide the requested information to the satisfaction of its partners to a large extent for the period 1 July 2014 to 30 June 2017. On the legal side, Kazakhstan was recommended to continue strengthening the access powers and to improve the availability of beneficial ownership information. The review also covers the Astana International Financial Centre opened in January 2018. Its legal framework was found mainly in line with the standard, but certain improvements are required with regard to the availability of beneficial ownership information and accounting information. Kazakhstan was also recommended to carefully monitor that the new regulations of the Financial Centre are properly implemented in practice as the new rules are very recent and there is no relevant experience with their implementation in practice. Read the press release.